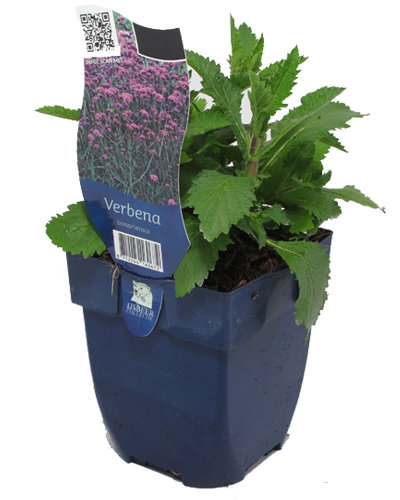 The perennial plants of Hello Garden, recognizable by the square blue pot, are just one size bigger than other perennials. They therefore grow quickly into a big cloud of flowers! They provide a colourful garden or pots on the balcony and terrace. They are easy to plant and don’t need much care. The flourish very richly and exist in all colours. They seem to die every fall, but return even stronger next spring! They cover the ground very well and therefore you won’t be bothered by weeds very much. Put the right plants in the right place (8 plants per square meter). Use a good soil improvement agent. Remove all weeds consequently in the beginning. Within a few month, the plants will grow dense and weeds will have less opportunity. Cut the perennials in March (after the first year) completely down to the ground. Fertilize the plants immediately after cutting and the plants will grow dense very shortly.